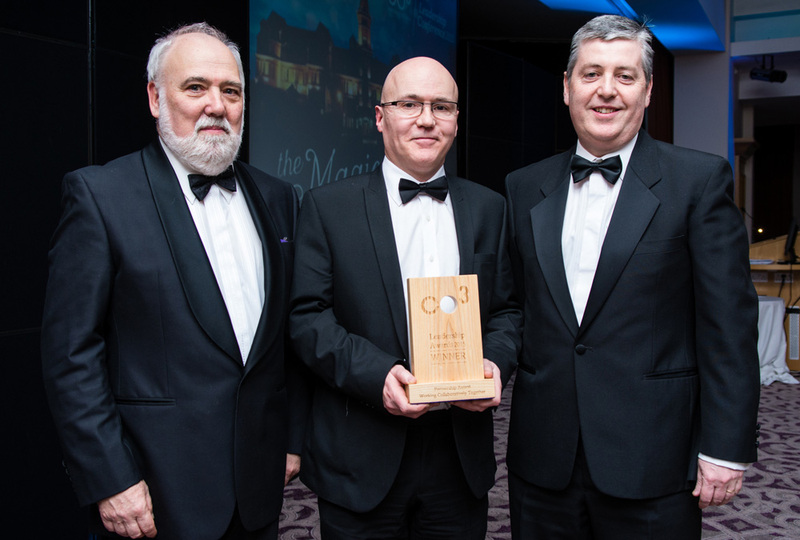 Many congratulations to our own Peter Shields who scooped an award at the CO3 Leadership Awards recently. Along with Kieran Molloy from the Cedar Foundation, Peter collected the Partnership Award – Working Collaboratively Together. Peter and Kieran were honoured for their work on the SES Supported Employment Solutions partnership which supports people with disabilities and health conditions and helps them get back into employment. SES is made up of seven disability organisations from across N Ireland who have come together to deliver the Work Connect and Workable (NI) Programmes. Congratulations also to our Board Members Billy Kohner and Pam Hunter. Billy was shortlisted for the “Lifetime Commitment to the Third Sector” award and Pam won “Best Newcomer of the Year” award.